performance vehicles; even trains ... whether diesel or gas. 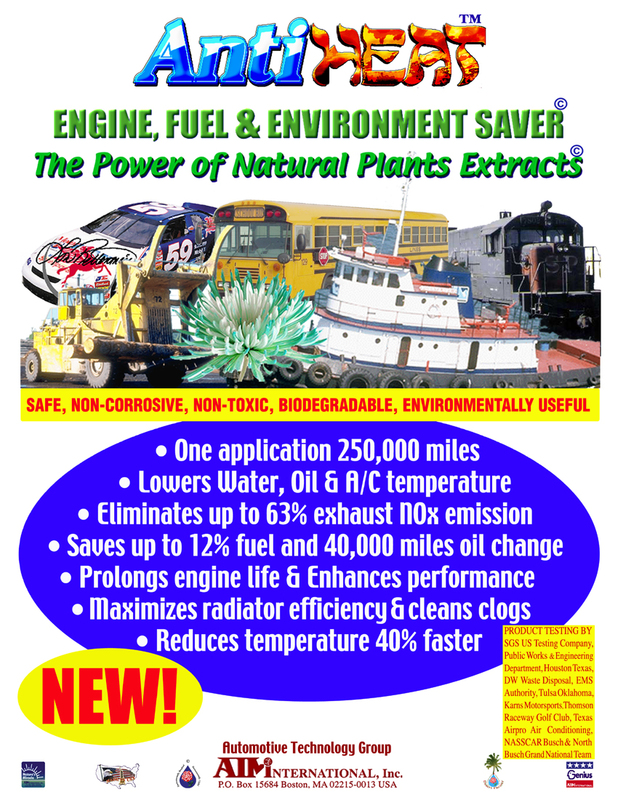 engines, high fuel consumption and associated pollution of the environment from exhaust fumes. extremely hot climates, especially in slow-moving traffic, and long periods of engine idle. 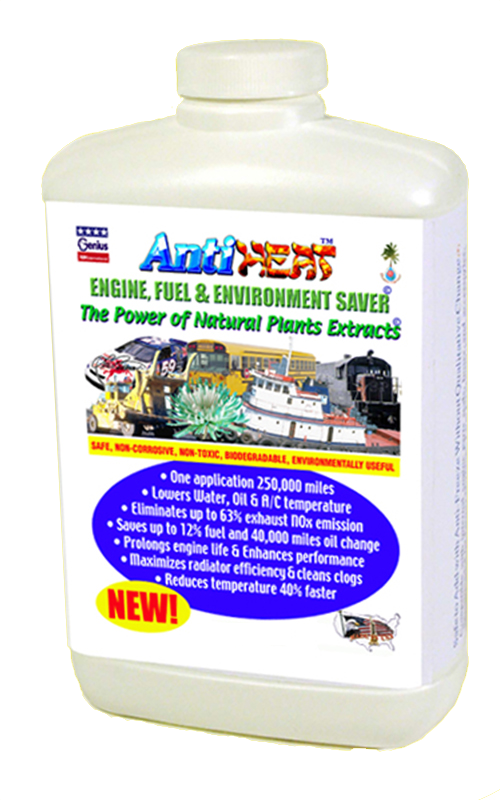 ANTI-HEAT™ is exceptionally safe, true coolant, and environmentally useful decontaminant. hoses, connections, roads or soil. Actually, it helps dissolving deposits and clean clogged-up radiators. Added once into the radiator, ANTI-HEAT™ is good for over 250,000 miles or until radiator is flushed out. early stages of engine start- and warm-up, the formula transfers heat more evenly throughout the engine. Thus, it reduces warm-up time, cold start-up, wear and tear associated with such conditions. mixed with ANTI-HEAT™ formula, absorbs heat faster, it can also shed the heat through the radiator rapidly. NOx exhaust emission by up to 63%. By adding Anti-Heat to your vehicle's radiator, it could be one of the best investments you could make in your vehicle. 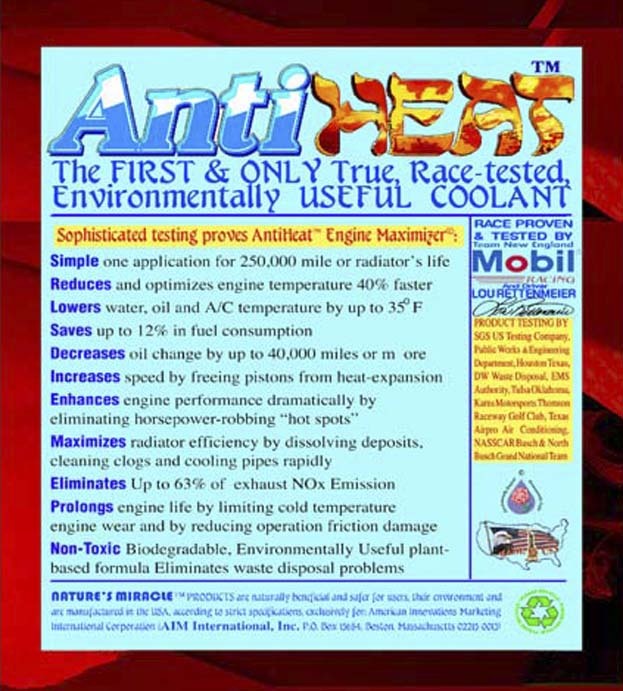 As the exclusive coolant of choice in the extreme environment of many American car racing tracks, the ANTI-HEAT™ formula, as one driver pointed out "It did the job for us, allowing us to lean the fuel mixture, conserve fuel and maintain water and oil temperature in the proper range." 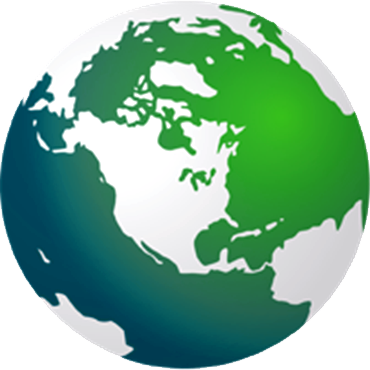 In the USA, ANTI-HEAT™ formula is used extensively in almost all of the car races, and also used in ambulances, public transport, police cars, garbage collection trucks, taxis, tractors, factory and farm water-cooled machinery, as well as cooling tower systems. It can be safely added to any type of engine by mixing it with water alone, water and anti-freeze mixture and it can also be used in gas or diesel engines without any side effects on the system, additives or people.